"Atherosclerosis, hardening of the arteries, begins in childhood. By age 10 nearly all kids have fatty streaks, the first stage of the disease. Then the plaques start forming in our 20s, get worse in our 30s, and can start killing us off in middle age... If you are older than 10 years of age, the choice likely isn’t whether or not to eat healthy to prevent heart disease, it’s whether or not you want to reverse the heart disease you likely already have. Drs. Dean Ornish and Caldwell Esselstyn [See also below] proved that we can reverse heart disease with a plant-based diet, but we don’t have to wait until our first heart attack to reverse the clogging of our arteries. We can start reversing our heart disease right now. We can start reversing heart disease in our kids tonight." 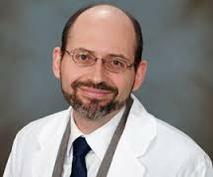 Watch the video and/or read the article by Dr. Michael Greger M.D. by Clicking Here. "The purpose of this paper is to describe and analyze the gross lesions found in the coronary arteries of United States soldiers killed in action in Korea (in the early 1950's)... 300 autopsies were performed on United States battle casualties in Korea... The coronary arteries were carefully dissected in all cases... The average age in 200 cases was 22.1 years." Click Here for the preliminary report. "Coronary heart disease (CHD) and the related diseases due to atherosclerosis continue to be major public health problems in the industrialized countries and are likely to become serious problems in the developing countries... Long-range prevention of coronary heart disease should begin in adolescence or at least in young adulthood with control of the major established risk factors for adult coronary heart disease." ﻿Click Here﻿ for the report. "At your sweet 16 there’s just about a 1 in 30 (3%) chance you already have an advanced atherosclerotic lesion in your heart, but if you don’t improve your diet, by your 30th birthday, it’s closer to a one in five (20%) chance you have some serious heart disease, and if you have really high cholesterol it could be closer to one in three (33%)." "On this entire planet, there are millions of people who will never have heart disease, and the common denominator is that they are largely all plant-based (eaters)"
A new study provides more evidence that a vegan diet can reverse heart disease. Click Here for CNN's Dr. Sanjay Gupta report. "Many of our most common diseases found to be rare or even nonexistent among populations eating plant-based diets." "The truth be told, coronary artery disease, the most common form of heart disease which is responsible for heart attacks need never exist and if it does exist, it need never progress." The Lifestyle Heart Trial demonstrated that intensive lifestyle changes may lead to regression of coronary atherosclerosis. "According to the Director of the famous Framingham Heart Study, the best way to manage cholesterol and heart disease risk is with a more plant-based diet. Why then, don’t more doctors advise their patients to change their diets?" For example, in the European Prospective Investigation into Cancer and Nutrition (EPIC) study, patients who adhered to healthy dietary principles (low meat consumption and high intake of fruits, vegetables, and whole-grain bread), never smoked, were not overweight, and had at least 30 minutes a day of physical activity had a 78% lower overall risk of developing a chronic disease. This included a 93% reduced risk of diabetes, an 81% lower risk of heart attacks, a 50% reduction in risk of stroke, and a 36% overall reduction in risk of cancer, compared with participants without these healthy factors." I thought I had a healthy diet -- no red meat, no fried foods, little dairy, just chicken breast and fish. But a simple Web search informed me that my chicken-breast meals had more cholesterol content (84 mg/100 g) than pork (62 mg/100 g). So I changed that day... Within 6 weeks my LDL cholesterol level was down to 90 [from 170]." "A 60-year-old man presented with typical angina and had a positive stress test. He declined both drug therapy and invasive testing. Instead, he chose to adopt a whole-food plant-based diet, which consisted primarily of vegetables, fruits, whole grains, potatoes, beans, legumes, and nuts. His symptoms improved rapidly, as well as his weight, blood pressure, and cholesterol levels. Plant-based diets have been associated with improved plasma lipids, diabetes control, coronary artery disease and with a reduction in mortality. Adoption of this form of lifestyle therapy should be among the first recommendations for patients with atherosclerosis." "Coronary heart disease is when the heart can’t feed itself. The heart pumps blood to the body, but it first pumps blood to feed itself through coronary arteries. Over time, if they get clogged, then the heart can’t pump enough blood to feed itself. Blood carries oxygen, and oxygen is fuel for the heart. If the heart doesn’t get enough oxygen, in the short term it can cause angina or chest pain. Over a longer period of time, everything downstream may die and turn into scar tissue; that’s what we commonly refer to as a heart attack. If it’s a small area, you live; if it’s a big area, you don’t." Women and Heart Disease: What You Need to Know! "Heart disease is responsible for 1 in 3 deaths of American women each year, killing more women than all cancers combined." A study, reporting on 38,153 patients with heart disease treated with statin cholesterol lowering medications, brings knew evidence to light showing that significantly lowering LDL-cholesterol has major benefits for cardiovascular patients. "Swapping fried and salty foods for fruit and veg could cut the global incidence of heart attacks by a third, a study of eating habits suggests." Iron found in meat may increase your risk of heart disease, according to a new meta-analysis published in the Journal of Nutrition. "Though current medical and surgical treatments manage coronary artery disease, they do little to prevent or stop it. Nutritional intervention, as shown in our study and others, has halted and even reversed CAD." "Physicians want to influence their patients to make lifestyle changes that will improve their health, but sometimes the roles are reversed and we are inspired by patients. It was a patient's success reversing an alarming condition that motivated me to investigate a vegan diet." "Vegetarian and vegan diets lower the risk of heart disease, according to a study published in Public Health Nutrition"
"It turns out that vegetarians might not just be sparing the lives of countless animals by cutting meat from their diets, they could actually be helping to save their own lives as well. According to a new study, research suggests that vegetarians may be at significantly less risk of developing a condition associated with heart disease and stroke than their animal-eating counterparts." "People who are genetically susceptible to heart disease can lower their risk by eating plenty of fruit and raw vegetables, a study suggests." Click Here for the article by BBC News. "Obesity rates in children have almost tripled in the last 25 years. Among children and adolescents ages 2 to 19 in the United States, 31.7% are overweight. One in three children born in the year 2000 will develop diabetes at some point in his or her life." "Thousands of black men were surveyed about their dietary proclivities, and those who were vegetarian or vegan were found to be less likely to develop cardiovascular illnesses." Dr. Caldwell Esselstyn argues that heart attacks, the leading cause of death for men and women worldwide, are a "foodborne illness" and explains why diet is the most powerful medicine. "After undergoing heart surgery, former President Bill Clinton has adopted a healthier lifestyle. In an interview with CNN, Bill Clinton talked about his plant-based vegan diet and recent weight loss. What made him go vegan? Clinton has read many books on the topic, including books by T. Colin Campbell, Caldwell Esselstyn and Dr. Dean Ornish." The medical community suffered three significant fish oil failures/setbacks in 2013. Claims that fish oil's EPA/DHA would stop the progression of heart disease were crushed when The Risk and Prevention Study Collaborative Group (Italy) released a conclusive negative finding regarding fish oil for those patients with high risk factors but no previous myocardial infarction. Fish oil consumption has shown to lead to increased inflammation, increased CVD, and increased cancer risk. "Fish oil does not lower the risk of cardiovascular disease or death, according to a new review in the Journal of the American Medical Association. Researchers analyzed 20 studies including 68,680 patients who used omega-3 fatty acids for an average of two years and determined that fish oil had no effect on heart-related death, heart attack, or stroke. These findings follow another recent review showing fish oil did not prevent the recurrence of heart problems among patients." "Two new studies found that omega-3 supplements, often sold in the form of fish oil, do not improve the health of the brain or heart." See also section on Salt. An Hour interview with Dr Caldwell Esselstyn Jr., M.D., President Clinton's physicianand family on preventing and reversing heart disease with a plant based diet.